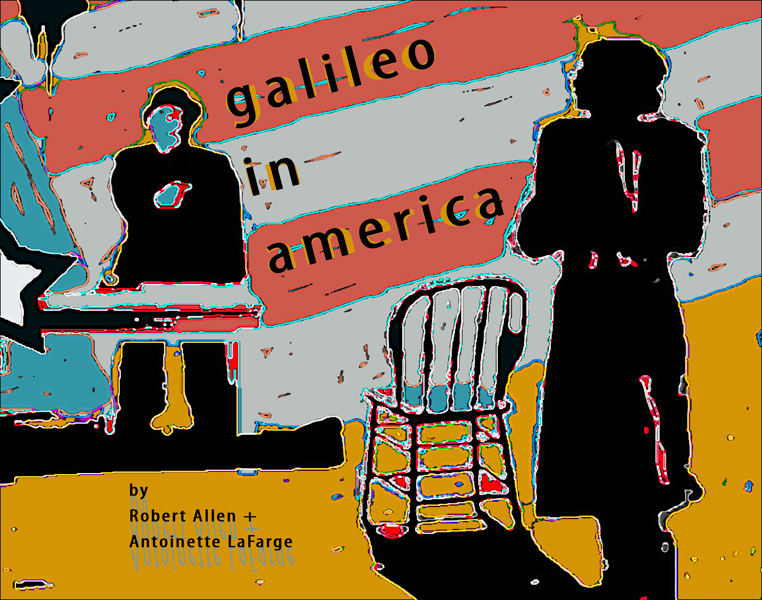 Feb. 23, 24, 25 Evenings @ 8:00 p.m.
March 1, 2, 3 Evenings @ 8:00 p.m.
Feb. 25 and March 3 Matinees @ 2:00 p.m.
Part cabaret and part courtroom drama, Galileo in America focuses on the period in the 1940s when German playwright Bertolt Brecht fled to Santa Monica to escape the Nazis. During his exile years, Brecht and noted film actor Charles Laughton worked on a new production of his play about Galileo’s struggle with the Catholic Church. 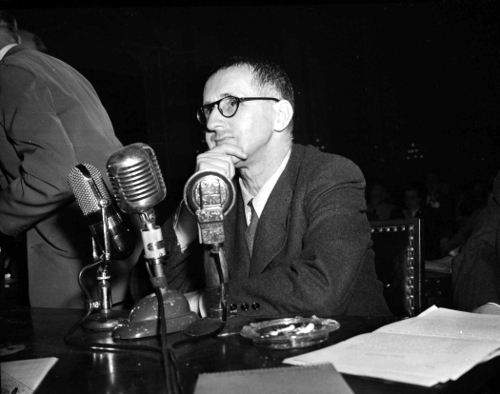 Brecht and his friends were suspected of being communists and under constant surveillance by the FBI. At the end of this period, Brecht has his own reckoning with authority when he was called to testigy before the House UnAmerican Activities Committee. Galileo in America is structured as a surreal epic in which all these stories are twined into a single braid, bringing Galileo and his daughter, Virginia, face-to-face with the FBI agents who shadowed Brecht. Galileo in America has been supported by the Goethe Institute in Los Angeles, Villa Aurora in Pacific Palisades, University of California, Irvine, and contributions from individual donors.